The Diamond advanced test is ideal for professional development particularly for trainee instructors. PDIs looking to take a ‘mock test’ instead of one to their 3 limited attempts during their training means they can gauge how they are doing without going through the DVSA testing system first. Along side their official training PDIs may also like some additional training from a Diamond advanced instructor who may be available outside of the normal hours of business when colleges and driving schools cannot assist with this extra training. An advanced test and some additional post-test training with a Diamond trainer can help anyone with an interest in driving. Any member of the general public is welcome to take extra training or a Diamond test, possibly for work, safety reasons or confidence. You may like to refresh your skills if you have been in an accident, returning to work after an illness or a long gap in driving. You could be a young person who has just passed their driving test or a parent looking to improve and update their own skills before teaching a son or daughter to drive. 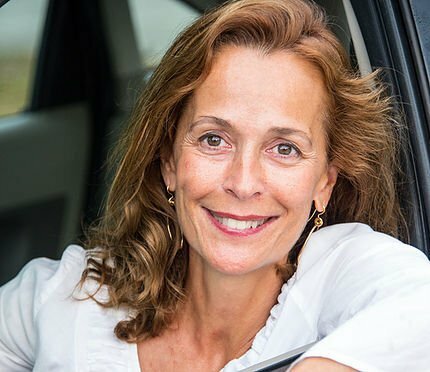 Alternatively, you may be a mature driver who has been referred by their GP or family to book some post test training or a Diamond assessment. If you decide to take the advanced test this will cover motorway and dual carriageway driving, which will help you gain confidence on these types of roads, whilst refreshing your skills and knowledge. Fleet companies can reduce their long term fuel costs, insurance and accident loses/no claims if their drivers are better trained or work towards doing an advanced or elite test as weaknesses are highlighted and can be fed back to companies by our professional Diamond trainers. When you book your Diamond test, you will receive email confirmation of your booking. Your details will then be passed on to an examiner local to you, who will contact you within 2 working days to arrange a mutually convenient meeting place. The Diamond advanced test lasts 60 minutes and covers a variety of roads and where possible motorways, rural roads and an emergency stop exercise. You will be expected to do at least 2 manoeuvres involving reversing and demonstrate eco-safe driving. Obvious benefits are safer and better driving skills. Diamond trainers focus on defensive and eco driving techniques, which in the long term means less accidents and loss of no claims benefits etc. Companies and fleet drivers can expect to save money through a reduction in claims, accidents and drivers are more able to cope under pressure, which in turn creates a healthier working environment with less time taken off work for sickness and stress. All our Diamond examiners and trainers are fully qualified ADIs. Our examiners have had extensive training with the DIA in their area of expertise and adhere to the DIA Code of Conduct. I decided to do my DIA test after I had an accident driving our van and caravan home from Europe. I have double vision normally and have to drive with adapted glasses which I don’t find a problem now. After the accident, mine and my husbands family didn’t really trust me behind the wheel so I wanted some reassurance of safety for them as I love driving and didn’t want to stop. I contacted Karen at the DIA, and after a few catch up lessons by an advanced tutor, Karen helped me arrange a test, I found her very helpful indeed and was glad of her contribution. Unfortunately, I failed but I am in the process of having more lessons and doing another test. Even if I fail again the experience of the DIA lessons has made me a more confident and safer driver and I can say that it has taught me a lot of road sense that you don’t pick up from the normal driving test. Since writing this article Debbie went onto pass her Diamond advanced test in December 2015. A very proud moment for her and her family.